Click Here to see some images from the opening of my exhibition ‘What Matter / Cén t-údar’ last night at Áras Inis Gluaire, Belmullet. 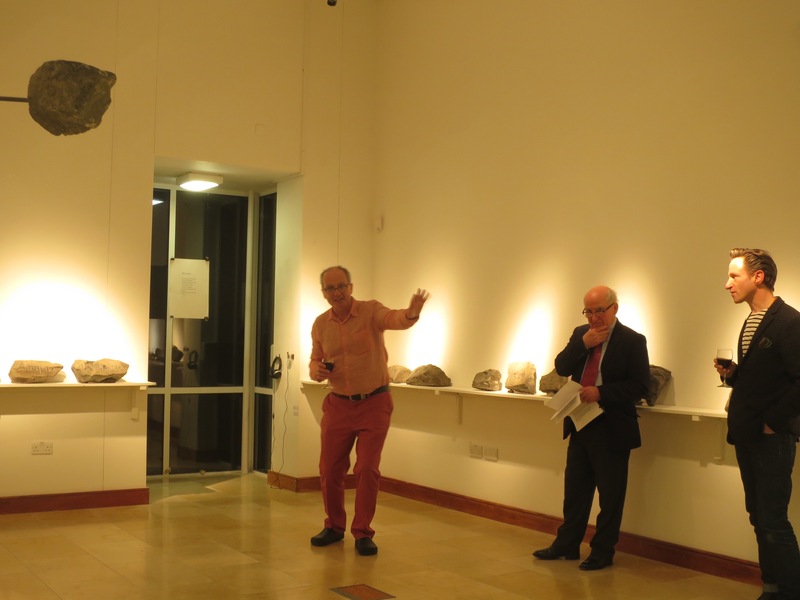 My sincere thanks to Dr Seamus Caulfied, Professor of Archaeology at University College Dublin (retired) and archaeologist of the Céide Fields for his fascinating introductory talk – a superb communicator of everything from geological timescales to the history of the Easter Rising. 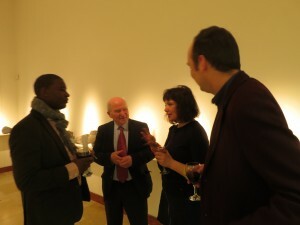 Huge thanks also to Brendan Murray and everyone at Áras Inis Gluaire for making the exhibition look great. 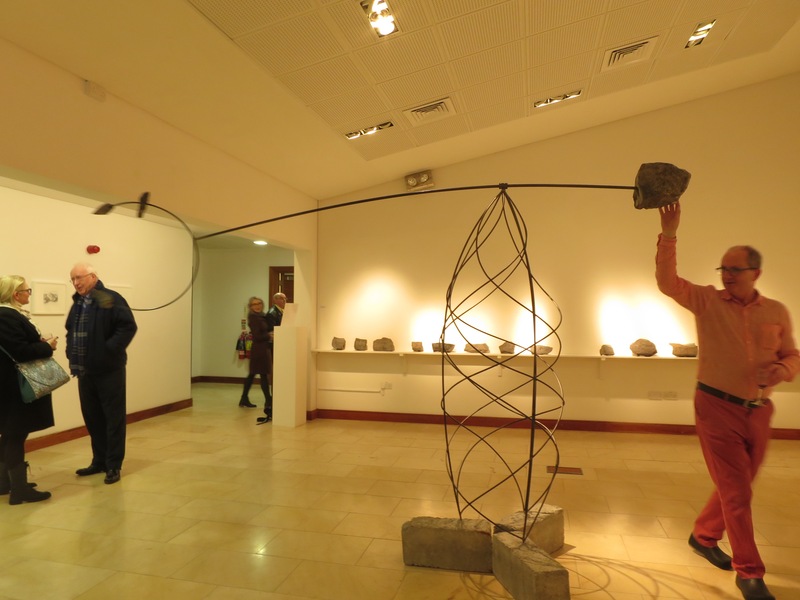 Many thanks to Mayo County Council Arts Office, Gaynor Seville, Chris Leach, Caoimhín Ó Súilleabháin, Oonagh Ní Chéileachair, Ger Sweeney, Selma Makela and Leitrim Sculpture Centre. Erris Arts Centre, Belmullet, Co Mayo, Ireland. Oscailt: 23 Feabhra / Opening: 23 February 2017. Áras Inis Gluaire is a bilingual arts centre in the County Mayo Gaeltacht (Irish-speaking area). I’m especially glad to be showing this exhibition in this fantastic gallery, as much of the work relates directly to the Irish (Gaelic) language and has developed around themes of language, translation, memory, memorialisation, landscape and materiality. The Mullet peninsula and surrounding areas of North Mayo are spectacular landscapes, rich with historical and archaeological treasures, and have been inspiring me for several years now. For any of you in or near the West of Ireland, I’d be very pleased to see you on 23 February.